To see more of the beauty above, click here. 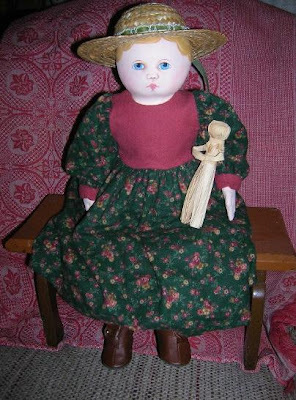 This site focuses on "Making Antique Inspired Dolls and Accessories." Maida is an acronym of the first letters of the words in that phrase. 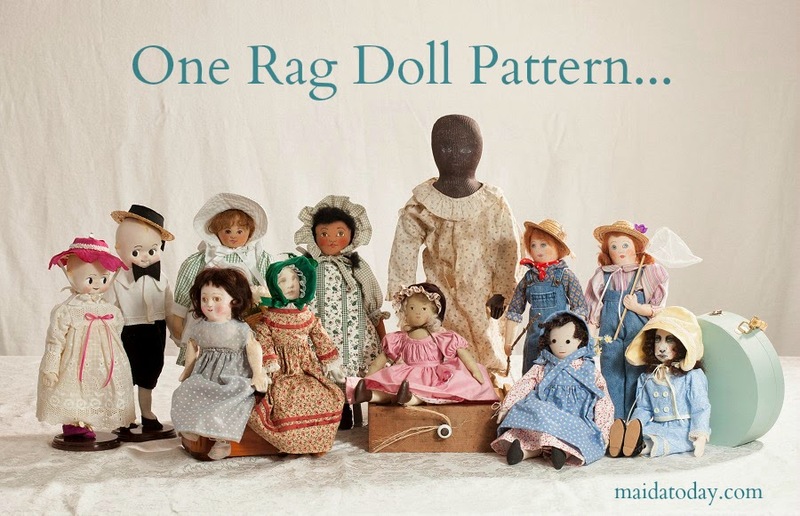 So it makes sense to feature patterns available to make dolls inspired by original antiques. There was a discussion on the Maida Today Dolls group about Columbian dolls, so I looked for available patterns for Columbian inspired dolls. When I wanted to know about Columbian patterns, I asked two people - Cindi Ciampa and Judy Jacues. Both of these artists paint amazing antique inspired dolls. Using Connie Tognoli's 29" Pattern. Cindi Ciampa has made Columbian inspired dolls from Susan Fosnot, Gail Wilson and Connie Tognoli patterns. She excels at executing someone else's pattern as well as designing her own creation inspired by antique dolls. 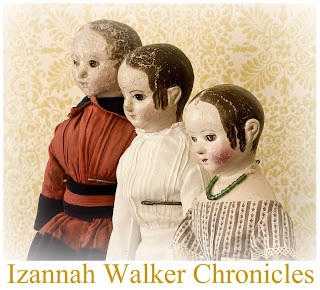 Cindi's Izannah Walker inspired dolls and Cindi's Columbian dolls have such a sweet yet impressive presence. 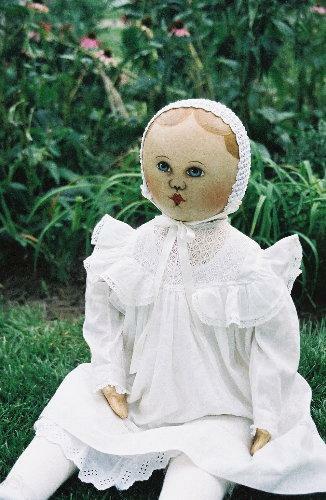 Judy Jaques also is a wonderful doll maker. She is passionate enough about Columbian Dolls to host the Vintage Cloth Dollmaking (VCD) group's Columbian Doll challenge photos on her photo page. By the way, VCD is a great group for any lover of old cloth dolls. Judy's doll design above, Emma, is inspired by Columbian dolls (but she does not sell her pattern). Judy has made Columbian inspired dolls using Susan Fosnot's pattern. So in my search, and with the help of these two ladies who make such great dolls, I found out that the following designers have Columbian inspired patterns for sale: Susan Fosnot, Shari Lutz, Connie Tognoli, and Gail Wilson. I will be featuring each designer's pattern in stand-alone posts. These dolls just warm the heart, don't they? Ant the dressing of the first one in the white and ruffles is just to die for. Its so beautiful I would give it my own rating of just about perfect!